The sources of Christian doctrine. The concern of the Church for the purity of Christian teaching. From the first days of her existence, the Holy Church of Christ has ceaselessly been concerned that her children, her members, should stand firm in the pure truth. “I have no greater joy than to hear that my children walk in truth,” writes the holy Apostle, John the Theologian (3 John 4). “I have written briefly, exhorting and testifying that this is the true grace of God wherein ye stand,” says the holy Apostle Peter in concluding his catholic epistle (1 Peter 5:12). (“Catholic,” meaning “universal,” is the name applied to the New Testament Epistles (those of James, Peter, Jude, and John) which were addressed, not to individuals or local churches (as are all the Epistles of St. Paul), but to the whole Church or to believers in general.) The holy Apostle Paul relates concerning himself that, having preached for fourteen years, he went to Jerusalem by revelation with Barnabas and Titus, and there he offered — especially to the most renowned citizens — the gospel which he preached, “lest by any means I should run, or had run, in vain” (Gal. 2:2). “Instruct us in Thy path, that we may walk in Thy Truth” — is the first petition in the priestly prayers (the Prayers at Lamplighting. The “Prayers at Lamplighting” are the silent prayers read by the priest before the Royal Doors while Psalm 103 is being read aloud by the Reader.) 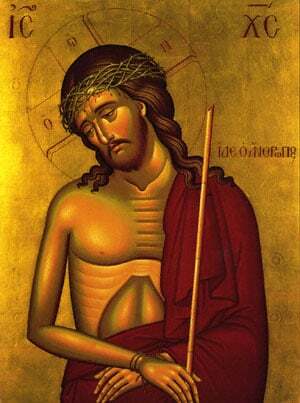 in the first Divine Service of the daily cycle, Vespers. 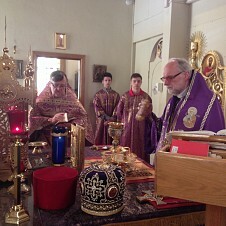 The true path of faith which has always been carefully preserved in the history of the Church, from of old was called straight, right, in Greek, orthos — that is, “orthodoxy.” In the Psalter — from which, as we know from the history of the Christian Divine services, the Church has been inseparable from the first moment of her existence — we find such phrases as the following — “my foot hath stood in uprightness” (Ps. 25:10); “from before Thy face let my judgment come forth” (Ps. 16:2); “praise is meet for the upright” (Ps. 32:1); and there are others. The Apostle Paul instructs Timothy to present himself before God “a workman that needeth not to be ashamed, rightly dividing (that is, rightly cutting with a chisel, from the Greek orthotomounta) the word of truth” (2 Tim. 2:15). 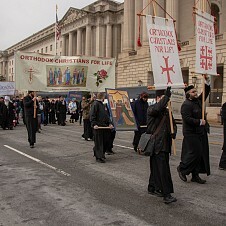 In early Christian literature there is constant mention of the keeping of “the rule of faith,” the “rule of truth” The very term “orthodoxy” was widely used even in the epoch before the Ecumenical Councils, then in the terminology of the Ecumenical Councils themselves, and in the Fathers of the Church both of the East and of the West. Side by side with the straight, or right, path of faith there have always been those who thought differently (heterodoxountes, or “heterodox,” in the expression of St. Ignatius the Godbearer), a world of greater or lesser errors among Christians, and sometimes even whole incorrect systems which attempted to burst into the midst of Orthodox Christians. As a result of the quest for truth there occurred divisions among Christians. c) through the weakness and inclinations of fallen human nature, which seeks the rights and justifications of these weaknesses and inclinations. So as to guard the right path of faith, the Church has had to forge strict forms for the expression of the truths of faith: it has had to build up the fortresses of truth for the repulsion of influences foreign to the Church. The definitions of truth declared by the Church have been called, since the days of the Apostles, dogmas. In the Acts of the Apostles we read of the Apostles Paul and Timothy that “as they went through the cities, they delivered them the decrees (dogmata) for to keep, that were ordained of the apostles and elders which were at Jerusalem” (Acts 16:4; here the reference is to the decrees of the Apostolic Council which is described in the fifteenth chapter of the Book of Acts). Among the ancient Greeks and Romans the Greek word dogmat was used to refer a) to philosophical conceptions, and b) to directives which were to be precisely fulfilled. In the Christian understanding, “dogmas” are the opposite of “opinions,” that is, inconstant personal conceptions.